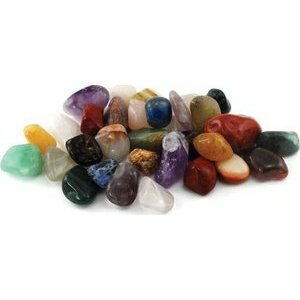 Offering 1 lb of mixed tumbled stones and crystals, this is a wonderful collection for anyone who simply adores exploring using the energy of stones, offering a wide selection at great value. Base has felt bottom and about 2" wide. Overall Height is approximately 6". Gem fruits are 1/4". Note all vary from piece to piece.